Holiday Movies and Family Traditions! 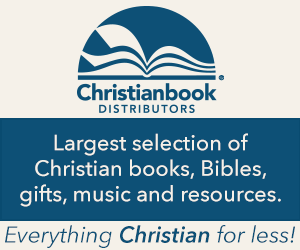 Because of the love I have for Christianbook.com, I’ve entered into an affiliate relationship with them. This doesn’t mean I say anything that I don’t believe to be true. I love what they have to offer and think you will too. If you order from them through one of my links, they will pay me a small commission as a “thank you” for recommending them to you. This will not effect the price for you at all, and I appreciate you trusting me to find great products and prices for you! Hey guys! I was just thinking about Thanksgiving, Christmas, and all the fun traditions. We have a lot of Christmas traditions, but not a whole lot on Thanksgiving. Other than to eat, and eat, and then eat some more! One thing we do though, is watch Charlie Brown Thanksgiving. I’m not gonna lie, my bigger kids think it’s boring, but I don’t care! It’s a tradition!! And actually, that particular Thanksgiving movie is educational. So little emphasis is placed on learning from the character and struggles of those who’ve gone before us these days, that I really like a little something with a good History lesson in it! Do you watch anything in particular on Thanksgiving? Maybe the parade? We never catch the parade because we don’t have cable. But I know that’s a big tradition for lots of people. And of course, football! I haven’t seen this movie, Love at the Thanksgiving Day Parade, so that’s one I’m excited to get and watch this year! What about Christmas? We have a lot of movies that we watch every year leading up to Christmas Day. Elf, Christmas with the Kranks, The Grinch….. And then on Christmas Day we usually chill out after opening gifts and watch whatever movies the kids happened to unwrap that day. My mom and sister usually get each of them at least a couple of new movies for Christmas. And since we’ve usually been watching Christmas movies for a really long time by time the big day gets here, it’s nice at that point to watch some “regular” movies! But we aren’t to that point yet this year, and right now I’m getting really excited about all the Christmas movies, especially since so many are on sale at Christianbook.com and some of them I’ve never heard of, so that will be nice to get to add in some new ones! My favorite on Netflix btw, is Holiday Engagement. I don’t know what it is about that movie, but I love it! The kids and I also like Pete’s Christmas on Netflix. Movie gifts for the whole family! Rather you’re interested in rushing to order something to watch on Thanksgiving Day, or looking for some fun new Christmas titles, now’s the time to check out Christianbook.com. But, even movies that aren’t related to the Holidays are on sale right now for their pre Black Friday sale! They have lots of them including a whole section on their top sellers from 2017! I’ve been browsing all day and I really think there’s a little something for everyone. Movies are such a great gift because they can be watched numerous times, can be great for that person that’s hard to buy for, and because they cause little to no clutter! 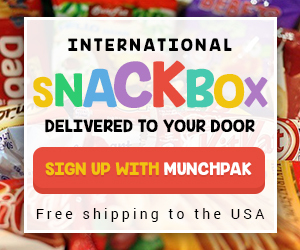 And for that matter, any gift that can be ordered online makes life just that much easier! Let me know what you find! I’d also love to know, what movies do you watch every year, and on which Holiday(s)?! ← The thankful/grateful child. Are we teaching them properly? Yeah, we watch like, all the tv Christmas movies too! We love um! We don’t have a specific Christmas Eve choice, but the Grinch is a favorite of ours too! As a matter of fact we’ve already watched that one this year and I’m sure we will again before Christmas! !